Hey, nonny, nonny, Senlac welcome St. George’s Day with Musick & the Bard! 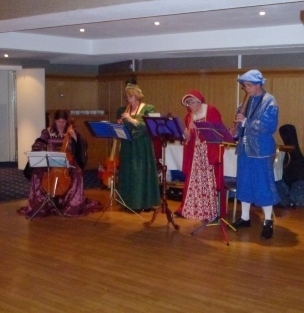 ‘Bards and Heroes’ was the theme for the Rotary Club of Senlac recently. 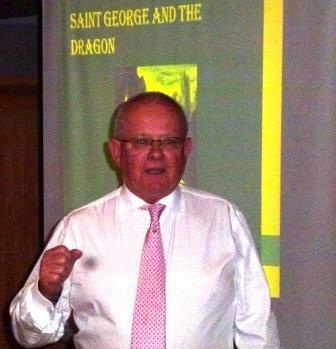 Always an inventive club, it excelled itself with members, partners and guests seeing in St. Georges Day in style. 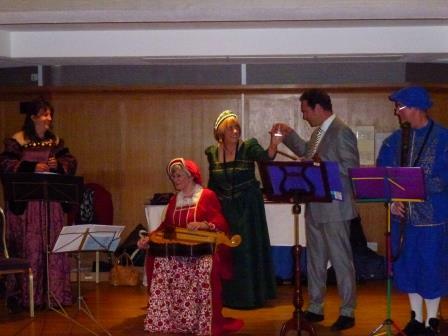 Early music was played on traditional instruments and – after dinner, Iain Robinson , member, and ‘a verrai trewe and parfait gentil knighte’ assisted the troubadours, with much hilaritie! And, as if this was not enough, a presentation on Shakespeare’s heroes was given by Mike Stewart. The evening was rounded off by a raffle of English wines, and two hampers of victuals, donated by members. Phew, what an evening!